Chartered client, Ronelle Baker, reflects on her grieving process at the loss of a very close friend. She shares her story in the hope of helping others experiencing the same pain of loss. So when you’re battling through grief, you are told about the five stages of grief: denial, anger, bargaining, depression and acceptance. What you’re not told is that once you’re through one of these stages, it’s not yet done … any particular stage can come back and wring your heart all over again! 29 years ago, I lost my mother to ovarian cancer. At the time, I was working hard towards becoming a successful businesswoman and felt that “we can get through this”. Of course that did not happen. On the death of my mother, the grief “stage” that would not release was anger. I was mad as a snake that she’d died: diagnosed on Tuesday, died on Sunday but she had battled the disease silently for years. So, while her passing was probably a “happy release” (an unhelpful phrase), that did not ease the pain at the time. My Mom died in Zimbabwe, so after the gathering of the family and the funeral, lots of tea, cake, crying, reminiscing, clearing out a home and settling my Dad elsewhere, life eventually returned to “normal”. But, in grief, normal is not normal at all. My husband, family and friends helped where they could, but were all walking on eggs around me to prevent whatever it was that I was holding onto did not explode and leave a mess everywhere! Eventually my devoted husband could take no more of this. My family, friends and work colleagues had complained of my unusual behaviour and lack of empathy and I sought help. It was a revelation – I was taught to throw cups against the wall (they had to smash for it to be effective – it worked!). I was able to release the anger and start the grieving process in peace. My dear friend, Judy, died. She’d also been battling with ovarian cancer for about 18 months. I witnessed with admiration her bravery, determination and feistiness. Although her health deteriorated rapidly from month to month, she managed to undertake a few trips, but they took their toll on her. 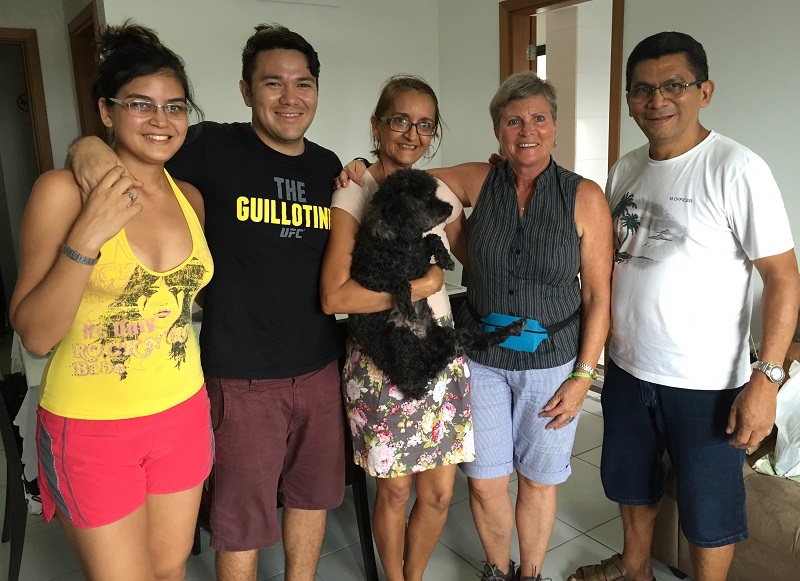 Nothing would dissuade her from getting on a plane and flying to busy and crowded destinations – even to the point of arranging her chemo sessions to suit her trips, and managing trips between surgeries – such absolute resolve was impressive. I was gobsmacked as I watched her fight this terrible disease, and full of awe at her family and friends. The oncology staff, hospital staff, and surgeons always had Judy’s best interests at heart. Until we’ve been with a friend or relative on an almost daily basis, watching her fade away, I don’t think any of us understands what a toll cancer takes on a body. Judy persevered and, at the end of her life, flew to the coast (with tubes and bags discreetly hidden in a plastic shopping bag at the airport) to spend the last five weeks of her life with her family. For me personally, it was a heart-breaking time but such an honour and privilege to be part of Judy’s journey. The difference between today’s grieving and that of 1988 is that I now am aware of the five stages of grief, and that they do pop up when you least expect. It’s sometimes tricky to identify them in the midst of our daily lives, but talking about it often helps … and tearfully if necessary. Having support from my husband, family and friends is healing, and understanding the process this time has definitely helped. My story is one of understanding and support. I know the five stages of grief are real and yes, they do bite you when you least expect them, but having the ability now to identify them, to go through grief gently, slowly and respectfully, means you will come through and, in the end, know you are blessed for being in the lives of the people that you love. 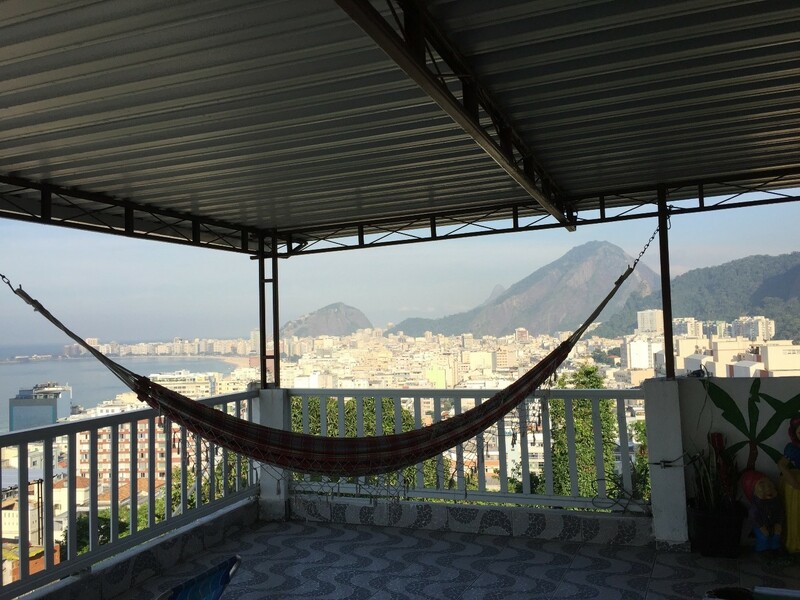 The lesson often comes too late for many … but, for me, solo travel, ironically, was the perfect teacher: people are far more important than anything in your life. spend time with … especially as you grow older. I want to add to that: surround yourself with people that stimulate you, that challenge you and that make you laugh and bring out that inner child in you. Having travelled solo for all those months through India, South East Asia and South America, I learnt first-hand how people can enrich your life beyond all expectations, and I could write a book on the wonderful characters I met along the way. Ever drunk beer from a thermos? Circumventing a ban on alcohol in Ladakh led to a friendship between me and Dinesh, a young Nepalese lad who ran a restaurant in the heart of New Delhi. He became my first Facebook friend in India – he calls me mum to this day, and we still message each other regularly. 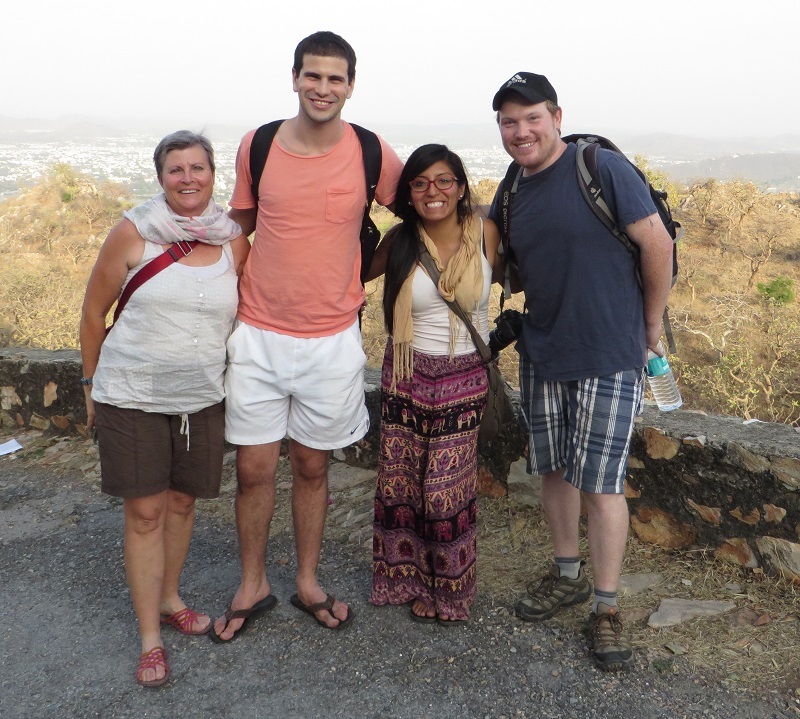 There was a Peruvian, an Argentinian and a Canadian … no, not the start of a joke, but certainly the memory of wonderful friendships that started exploring forts and temples in colourful Rajasthan, and culminated in my staying with Indira and her family in Lima, Peru, a year later. Canadian Cory remains my travel mentor, having been to many places on my travel bucket list. A chance meeting at a rooftop restaurant in Agra (where I was whiling away time before catching a night train to Khajuraho) with Horacio, another young solo traveller from Colombia, was the reason why I put that country on my list of travel destinations. Left: This “photo shoot” makes me smile every time I look at it. Three days spent with this crazy bunch from all over the world; Vasu from India (now resident in California)my “adopted” son Gregor from Brazil, the gorgeous Tathiane, also from Brazil, yours truly, Nir from Israel and the handsome Aussie Jerry. their list of must-see places … I have just waved them farewell after they spent the last three months in our wonderful country. It is a credit to the people that I met during my travels that I have to reserve the next series of encounters to a subsequent article. I am overwhelmed by a sense of gratitude for the lives that have touched mine … and have brought light and joy to it that lingers still. 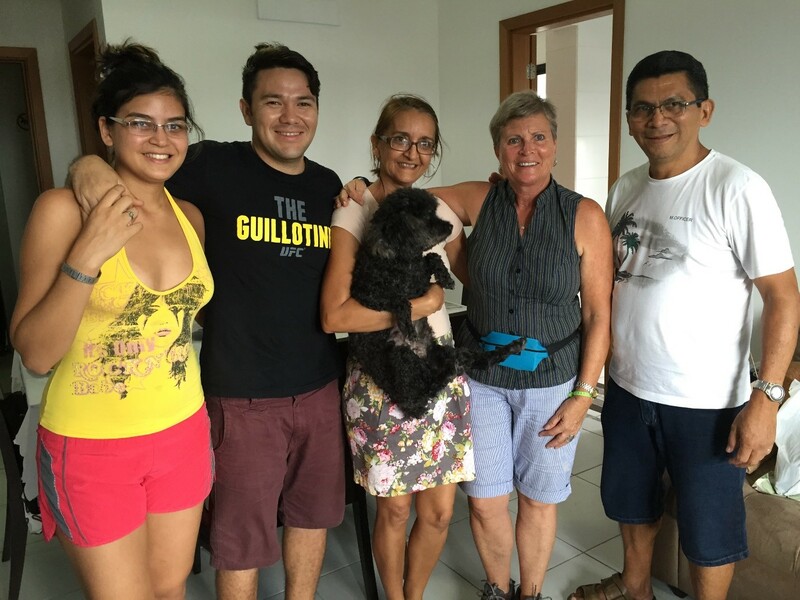 Right: My wonderfully warm AirB&B host family who allowed me to experience Belem, the coastal gateway to the Amazon River like a local. Parents Valter and Dailza and their daughter Julia and her boyfriend Alexandre. And rob yourself in the process! Retirement Specialist, Lynette Wilkinson, shares how she regrets to accepting a request from a client to create an estate plan – without being able to do a comprehensive review of their assets … and why she has resolved not to take on such an assignment again. She gives tips on how to make the most of your relationship with your planner. One of the most satisfying things about my role as a financial planner is to guide clients in achieving their intentions with their money. One aspect is creating an estate plan that will give effect to their wishes, as their legacy to their family. This goal is difficult – no, impossible – to achieve when your client is reluctant to share details of his assets. My clients were well-intentioned. They shared a vision of wanting to teach their children sensible money management and to leave a legacy for years to come. Some of their assets are businesses that could well provide both an income and employment for their children and grandchildren in the future. Their aim in meeting with me was to devise an estate plan that included reviewing their existing trust. In the event of their simultaneous deaths, they wished their assets to be transferred into that trust. They brought to our first meeting their wills, their existing trust deed and their marriage certificate, to show whether they had wed in community of property or out of community of property, and whether the latter was with or without the accrual system – of course, this has a huge impact on the estate plan. Unfortunately, while their goals were certainly noble ones, I was in no position to guarantee that those goals would be achieved. Why not? My clients simply did not want to disclose detailed and relevant information about their assets and liabilities. I did not know the values of the assets, or whether they were owned or ceded. In the absence of these facts, I was unable to give comprehensive feedback, as I was not able to understand the values of assets, and the cash flow and tax implications of any actions we might recommend. Let’s take the strategy of transferring the couple’s companies into trust on death. Without knowing the values of the assets, I am unsure how much Capital Gains Tax would be triggered, and if so, how much liquidity (available cash) there is in the estate to pay that tax. In addition, Estate Duty is likely to be levied against the estate as a result of the transfer of these assets into trust. Were there to be insufficient funds to pay these taxes, the businesses might have to be sold in order to generate liquidity to satisfy SARS. Were the business, however, to be sold rather than transferred, the monies could then more easily be placed in the trust, without attracting the same amount of tax. Alternatively, I could advise that, in the case of one spouse predeceasing the other, the best route would be to bequeath the companies to the surviving spouse, thereby taking advantage of the Section 4(q) deduction, which exempts spouses of any Estate Duty on that asset and defers the Capital Gains Tax to the second dying spouse. Of course, you can go online or to your local bank branch, and obtain an off-the-shelf Will – there you will be asked no questions, and any complications that may later emerge will only then be able to be resolved … often to the detriment of the estate and its beneficiaries. I am also aware of a local legal company that charged R40,000 to redo a trust deed, and who followed much the same superficial process of not even looking at the wills, but simply creating a trust according to the clients’ stated wishes but without flagging any of the potential pitfalls. The result of this kind of approach is, ironically, that the intentions of the clients’ are not fulfilled. Clients approach financial planners because we hold the expertise that they most often do not. It is therefore my moral responsibility to advise my clients in the best way possible … and that cannot be done with just a slice of the picture. Understand that an estate plan cannot be created without your planner understanding your financial plan – the two work in tandem. Build a relationship of trust with your planner that will allow you to feel free to disclose the necessary information for her to devise your own unique financial and estate plan – she wants your intentions to be fulfilled, so help her to facilitate that. Is the intention for your businesses to generate income or employment or both for your children? How much of the family’s wealth will the children use? What is the purpose for creating generational wealth? To teach your children money management? To enable your children to be educated? To provide capital for their own businesses? Knowledge of these intentions will allow your planner to set up your affairs practically to meet your goals; for example, a drafting a ‘family constitution’ will communicate to future generations what grandmother or grandfather’s intentions were in creating the trust. If you already have a trust, don’t allow anyone to review it unless they also want to understand your finances and to see your will. Partners must be in agreement regarding both their intentions and understanding the role and value of a financial planner. A review of either a will or a trust deed is of no value to the client (or the planner, for that matter) when done in isolation. You will understand then, my reluctance to take on any future requests to do so without an understanding of my clients’ assets and liabilities, and a broader view of their finances. Lynette holds a CERTIFIED FINANCIAL PLANNER ® status and obtained a Post Graduate Diploma in Financial Planning from the University of the Free State in 2007. She completed an Advanced Post Graduate Diploma in financial planning, specialising in Estate Planning and Risk Management in 2012. Lynette keeps abreast of the latest industry changes through her membership of the Financial Planning Institute of Southern Africa (FPI), the Society of Trust and Estate Practitioners (STEP) and the Kinder Institute of Life Planning. Lynette believes in real relationships. 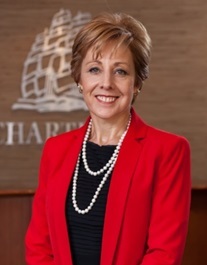 Her professionalism and empathy assist her in the discovery process to define her clients financial and lifestyle goals, allowing her to create a global and strategic financial plan for their unique needs. have always had a deep-seated fascination with rivers and waterways and it started long before I had ever actually embarked on any river voyage. Not for me the luxurious vessels cruising the European river courses like the Rhine or Danube … I visualised myself lounging on the deck of a slow boat chugging up the Mekong in South East Asia, observing the everyday life of river dwellers; or, even more exotic, making an epic trip up the mighty Amazon into the heart of the South American continent. Both of these trips had made it on to my travel bucket list. My enthusiasm for waterway travel was first sparked by my exploring the Kerala Backwaters, a network of 900 km of lagoons, lakes, rivers and canals along the Southwestern Indian coastline on a kettuvallam, a houseboat. It was further fuelled by my spending the night on a junk on Halong Bay in Vietnam; and finally cemented when I sailed for 24 hours up the Chao Phraya from Bangkok to Ayuthaya in Thailand on a beautifully restored rice barge. 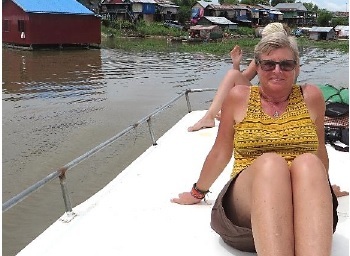 Mesmerised by floating shacks and animal cages housing litters of pigs, I have sat for hours on the roof of a river taxi plying the Tonle Sap, a tributary to the Mekong from the Cambodian town of Battambang to Siem Reap. I crossed into Laos on a raging Mekong River in the dark in a leaking boat during the height of a monsoon storm, floated down the Nam Song on a tube with a group of youngsters who made me realise that I am still a kid at heart. I ticked off a bucket list item by boarding a slow boat for a two day trip that took me on another segment of the Mekong River from Luang Prabang to Huay Xai on the border of Laos and Thailand where I spent two days zip-lining into the deepest jungle in search of the elusive Gibbon ape. We spent a sleepless night hunkered down under the thickest mosquito nets 150 meters above the jungle floor in a tree house, braving an almighty thunderstorm that left us all breathless. The jungle alongside the Kinabatangan River, the longest river on Borneo, was also worth a visit, and I was rewarded by an orangutan sighting albeit at quite a distance. 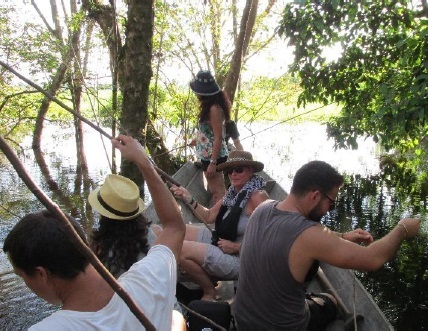 Although my travel adventures were filled with highlights, the one that probably makes it onto my top ten list has to be my six-day, 1500 km trip up the Amazon on a river ferry from the city of Belém on the mouth at the Atlantic Ocean all the way to Manaus. 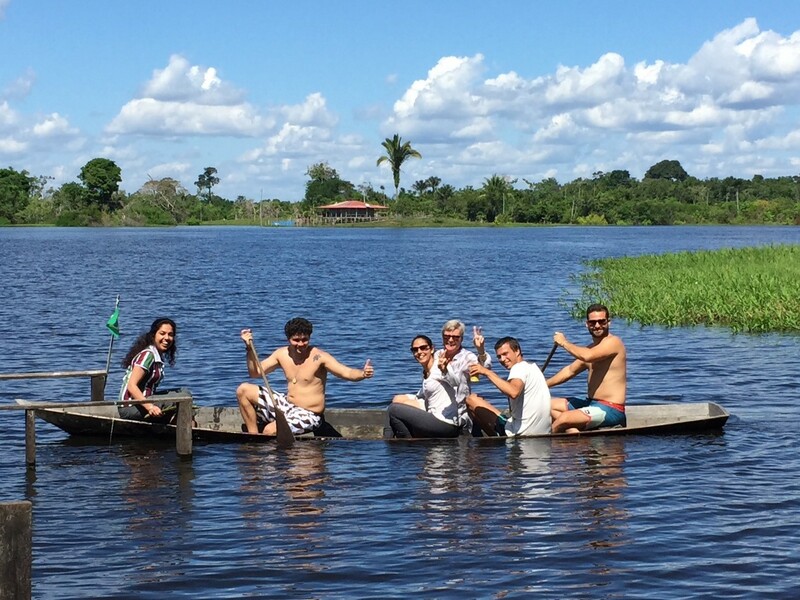 This was followed by three days in the Amazonian jungle which will forever remain dear to my heart because of the craziest, funniest bunch of youngsters I had the pleasure of experiencing it with. 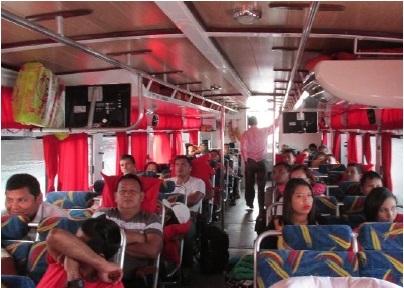 Getting out of Brazil took me 36 hours seated on a river taxi speeding along the upper reaches of the Amazon all the way from Manaus to the Brazilian/Colombian border. Thank goodness I had learnt the art of patience while travelling in the East and between watching the passing jungle landscape, reading, listening to music through my ear phones and dozing I managed to while away the time with ease. I yearn for my river days; where there’s a river, I want to be on it. 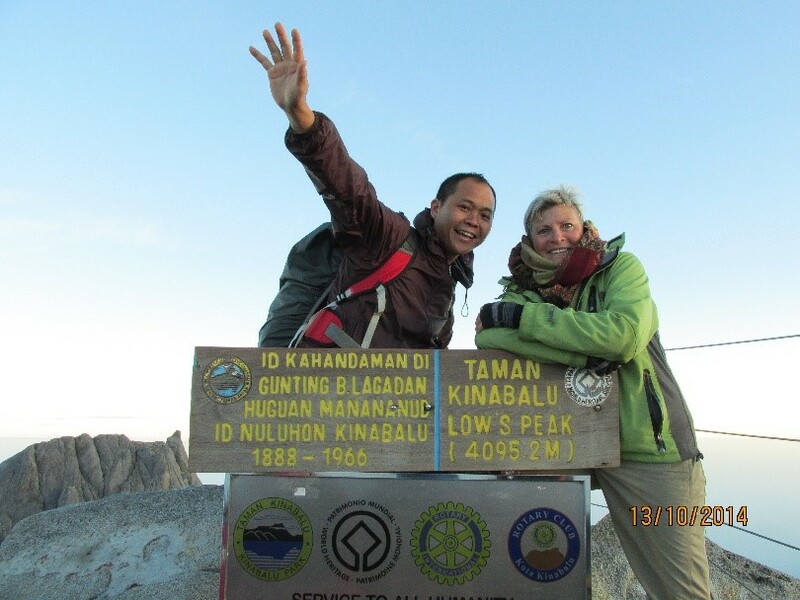 Chartered Financial Planner, Sybille Essmann, recalls her own conquering of one of the highest peaks in South East Asia. Gugu Zulu’s tragic and untimely death while attempting to ascend Mount Kilimanjaro has revived vivid memories of my personal slog and immense sense of achievement when I eventually stood at the top of the imposing Mount Kinabalu. 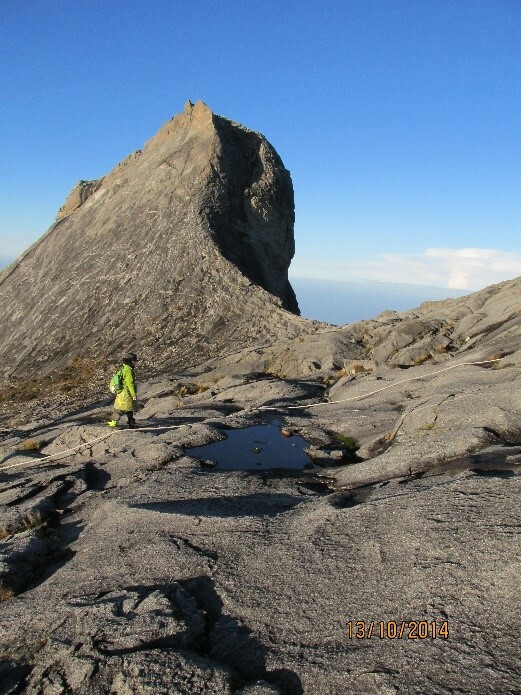 It is one of the highest peaks in South East Asia, on the island of Borneo. Climbing mountains had never been on my Bucket List and before my arrival on Borneo, I had never even heard of Mount Kinabalu. I wanted to dive Sipadan, rated as one of the five top dive sites in the world, located in the Semporna Archipelago off the north eastern coast of Borneo; but as only 120 dive permits are issued per day, I had to wait three weeks for my turn. Sybille and Alfred in triumph at the top! I first consulted the Lonely Planet and then my trusted TripAdvisor app on my iPad and found 944 reviews on climbing Mount Kinabalu in “things to do” while on Borneo. The common thread was that it was a once-in-a-lifetime experience, but by no means a walk in the park. Being a seat-of-my pants kinda gal, I mulled it over for an hour or so and eventually thought: what the heck! If there’s a mountain, why not climb it? I had done no formal exercise during my prior six months’ travelling, four of which I had spent at sea level, so I approached this adventure with a fair share of trepidation. Climbing up to an altitude of 4085 meters was never going to be easy. Besides Lonely Planet and TripAdvisor, I had learnt that the most valuable advice I could ever get was from like-minded travellers; I was blessed to discover a blog site that gave a step-by-step guide from where to book your climbing permit in the town of Kota Kinabalu, which buses to catch and from where, accommodation, the climb itself and, and, and … Priceless! 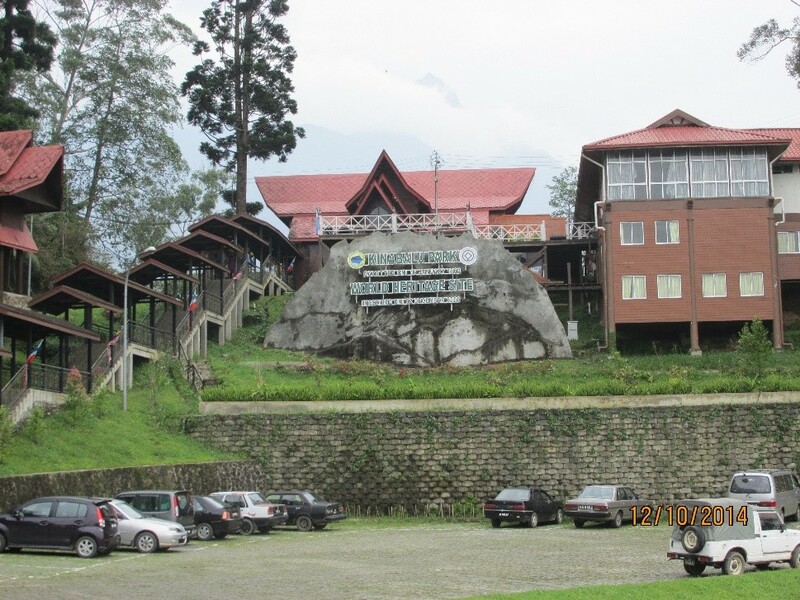 My heart sank when I arrived at the Kinabalu Mountain Lodge in persistent rain which did not let up for two days. Thank goodness I had given myself three days to acclimatise at 1500m above sea level. The day before my ascent, the skies finally opened and I got the first peek of my ultimate goal. The actual climb is done in two stages: day 1 takes you to base camp at 3 300m, where you bunk down for the night; at 2:30 the next morning, you set off for the final 800 meters with the aim of summiting at sunrise. Every three climbers are allocated a guide, but I was lucky enough to have Alfred all to myself, because my young co-climber, Mario, was a machine and from the get-go we did not see him for dust. I was sorely ill prepared for this endeavour. One of the most significant things I learnt about myself in those two days was that I have the capacity to dig deep when I have to, and I can do it with a smile. The actual distance climbed on day 1 was only 6 km but it was an unrelenting uphill all the way and I huffed and puffed and sweated and swore under my breath every step of the way … I was shattered by the time I dragged myself into our night stop after 6 1/2 hours. What buoyed me on that mountain, though, was the immense camaraderie amongst my fellow climbers. They came from all over the world and from all walks of life and we all felt a sense of kinship at having made it that far. I will forever be grateful for Alfred who willed me up to the summit in time for sunrise on day 2. I was quite overwhelmed and in awe by my achievement and literally felt on top of the world. If the ascent was hard, the descent was sheer agony! If Alfred had not strapped my backpack on to his and held my hand all the way down, I might have surrendered. I kissed him when we finally reached headquarters. It is amazing how a hot shower and a good night’s sleep can revive one’s spirit. Now, two years later, I look back and rate this climb as one of the most valuable experiences of my life. Would I do it again? I don’t think so, but, boy, was I proud of myself. Gugu Zulu, I commend you. Your resilience and perseverance against all odds should have carried you to the top. It was not to be … R.I.P. Chartered Certified Financial Planner and Intrepid Explorer, Sybille Essmann, shares how a simple idea to challenge her colleagues and share her travel experiences has become a relationship-building and educational exercise. I play a game with my colleagues every Friday morning. I send to all of them, via email, a photograph that I have taken somewhere, sometime on my Bucket Wheel travels. My colleagues read the caption: “Where in the World …” and they know the race is on! The first to come up with the correct answer gets rewarded with a steaming cappuccino from our local coffee shop. It is gratifying to observe the lengths to which some go to identify the location correctly. 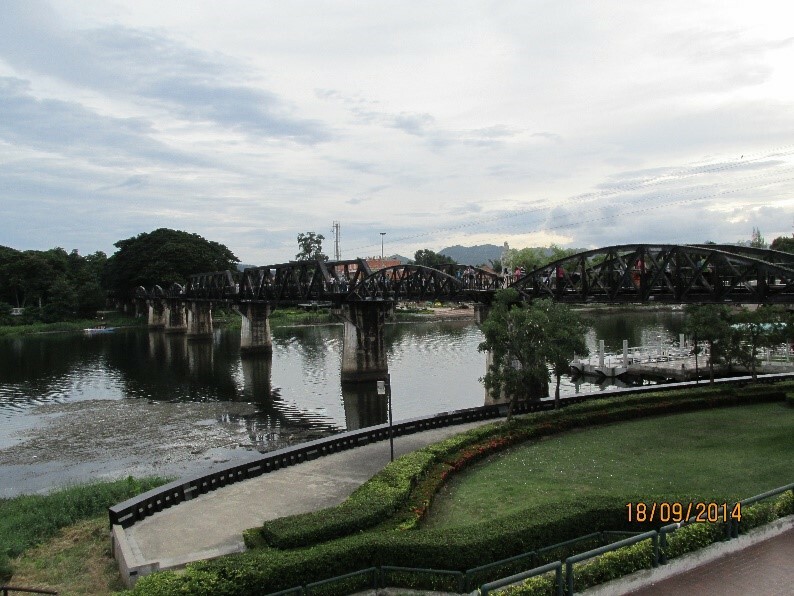 Recently, the mystery image was of the historical Bridge over the River Kwai in the Thai town with the magical name of Kanchanaburi, close to the Myanmar border. A new young colleague, Lebogang Moseamedi, cleverly followed a previous clue I had given: all answers can be found in my extensive travel blogs. Guess who won the weekly prize! This bridge is testimony to a heart-wrenching World War II history in which over 100 000 souls (16 000 British, Australian and Dutch POWs, and 90 000 Asians) perished in attempting to build the Death Railway for the Japanese, which would have connected Thailand’s capital Bangkok to Rangoon in Burma. It symbolises the futility of war, because these young lives were lost in vain as the railway line, although completed, was ultimately never used. But the bridge also represents the resilience of the human capability to forgive and absolve. Eric Lomax, a survivor and author of the autobiographical The Railway Man which was made into a film, was such a man. He had to face his demons and eventually made peace with his jailer and they became lifelong friends. Since that photo was taken, a lot of water has passed under that bridge (metaphorically speaking). I have seen and encountered some of the most remarkable and fascinating places on Earth and I consider it to have been part of my rite of passage. Today it gives me untold pleasure building my personal bridge and planting a seed of inquisitiveness in the minds of my young co-workers. What can you do with wood? Clive Stacey has loved woodworking since the age of 13, when he received his first woodworking tool. This life-long hobby finds its expression in Clive being chairman of the Witwatersrand Woodworking Association and in his sharing his passion with 40 Chartered guests at a winter Lifestyle Lunch at Chartered House. Clive himself prefers to use recovered wood for his projects, being convinced that it is a sin to cut down trees. Clive cautioned his audience to be aware of noxious woods – wearing gloves and a mask when working with such woods is essential. 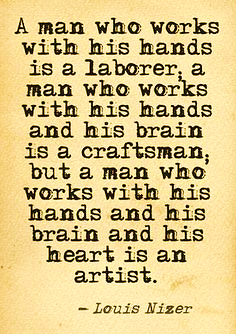 Tools are categorised as sharp and dangerous, or blunt and dangerous! Hammers, chisels, saws, drills are all able to cause damage. 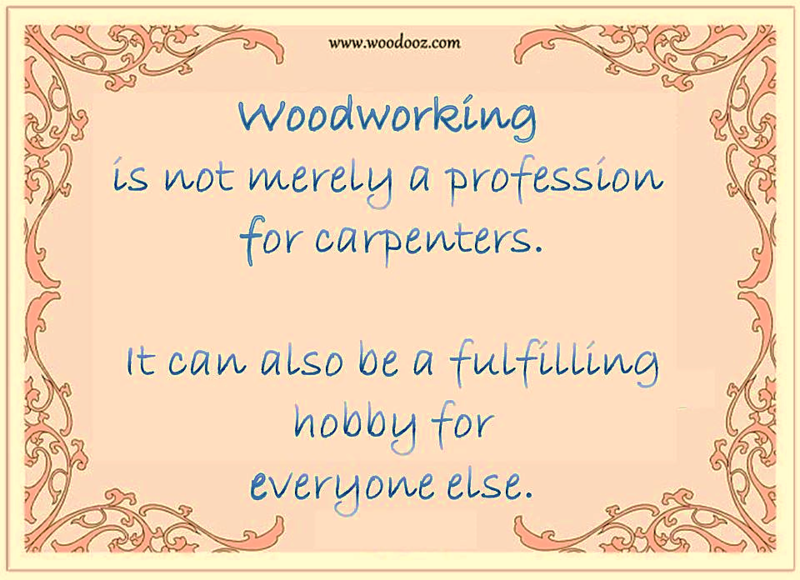 Woodworking teaches us a lesson for a well-planned life: Measure twice, cut once. And finally, while designing and constructing are essential, it is finishing well that gives the work glamour … like a life well-lived. Clive Stacey is certainly testimony to life-long learning and being continuing to live out his passion. We and the Chartered guests so enjoyed his presentation. 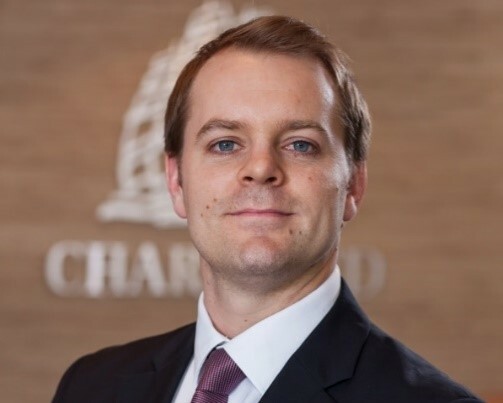 Chartered articled planner, Tom Brukman, would like his parents to know how he views them in anticipation of their retirement. Here is what he says … it may lend perspective regarding how your children are feeling about your life transition. I want my parents to relinquish the gnawing concern that many parents of adult dependents share: do my children have enough money? Freeing parents from this potentially debilitating worry can only happen through honest and open conversations about their money and mine. The opening of dialogue allows parents to understand, not only the financial position their children are in, but also and more importantly, their own financial position as adults as they move ever closer to retirement. My parents being financially stable because they follow the provisos of their financial plan, free of shifting obligations to dependants. The substantial gap between these two outcomes, and the peace of mind that accompanies the second situation, motivates me to plan for myself. I can thereby free my parents to enjoy their retirement after they have sacrificed so much to get me to a place where I can be independent. The most effective way we found to create this positive outcome was having that crucial conversation – the lifting of any guilt or animosity has been a welcome and unifying result. It is a matter of overcoming any perceived awkwardness around the topic of money, and simply being honest. “Now is the time to get some plants and seedlings into the garden,” says Nick Stodel, MD of Stodels Nurseries. Try indigenous varieties like tritonia, lachenalia, ixias, sparaxis, babianas, watsonias, chincherinchee and exotics like ranunculus, anemone, hyacinths, daffodils and narcissus for some wonderful spring flowers. Sow or plant winter- and spring-flowering seedlings like African daisies, sweet peas, Virginian stocks, cinerarias, snapdragons, lobelias, delphiniums, dianthus, nemesia, pansies, salvia, violas, scabiosa and Flanders poppies. Don’t forget winter veggies like broccoli, broad beans, peas, cabbage, carrots, cauliflower, spinach, onions and turnips – ideal for potjies, stews and soups. Make sure you mow your lawn a little shorter and feed it with a potassium-rich fertiliser to strengthen it before the winter months. Feed azaleas, camellias and tea bushes with a handful of Colour Burst. Mulch with a super acidic mix and keep well-watered. Container plants should be fed with Nitrosol to give them a boost before winter. Citrus trees need a handful of magnesium sulphate round about now; and remember to inspect the leaves carefully for signs of citrus psylla or scale. Deadhead roses to encourage a last autumn flush of blooms.